Clinic Synopsis: This session will explore concepts, opportunities, and instructional strategies for developing a mature symphonic band sound for the outdoor marching band. Topics will include individual musicianship, daily drill, crossover applications and techniques from concert band to marching band, student accountability, the role and development of woodwinds, and programming considerations. 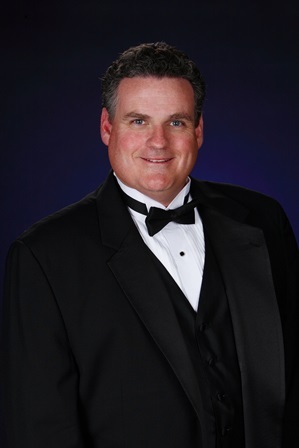 Clinician Biographical Information Andy Sealy is in his eleventh year as Director of Bands at Hebron High School in Carrollton, Texas. Under his direction, the Hebron High School Band is a consistent Texas UIL Sweepstakes Winner, Bands of America Regional and Super Regional Finalist, and “Best in Class” Award Winner. The Hebron High School Wind Symphony was recognized as the Texas Music Educators Association 5A Honor Band for 2010-2011 and performed in February 2011 at the TMEA Convention/Clinic. The Hebron Wind Symphony also performed at the 64th Annual Midwest Band and Orchestra Clinic in Chicago in 2010. The Hebron Wind Symphony was awarded the prestigious Sudler Flag of Honor from the John Philip Sousa Foundation in the Spring of 2012. The Hebron High School Marching Band has earned five appearances in the UIL Texas State Marching Contest; including top ten finishes in 2008, 2010, and 2012. The Hebron High School Marching Band received the Sudler Shield in the Spring of 2011. In 2009 Hebron High School Clarinet Choir performed at the 63rd Annual Midwest Band and Orchestra Clinic as a feature chamber music ensemble. Andy graduated with degrees from Texas Tech University and held public school positions previously in Iraan, Monahans, Lubbock and Amarillo, Texas	Andy is a frequent adjudicator and clinician. He maintains professional affiliations with the Texas Music Educators Association, Texas Bandmasters Association, Phi Beta Mu International Bandmasters Fraternity, Texas Music Adjudicators Association, the International Clarinet Association, and Phi Mu Alpha Sinfonia.